Identify two companies and one product produced by each company that directly relate to the NCT technical application your team has selected. The Babcock and Wilcox Company was awarded a contract totaling approximately $2.0 billion to manufacture naval nuclear power systems for submarines and air force carriers. The work will take place over a 10-year window of time, commensing in January 2011. B&W has its corporate headquarters in Charlotte, North Carolina. The company is a leader in clean energy technology and services and has locations worldwide, employing over 12,000 people. B&W has designed and manufactured nuclear heat exchangers, steam generators, pressurized reactor vessels, as well as dry storage containers for over 40 years. The company has a long history with small reactors, having built components for the USS Nautilus (1955) and the onboard reactor for the NS Savannah (1961). 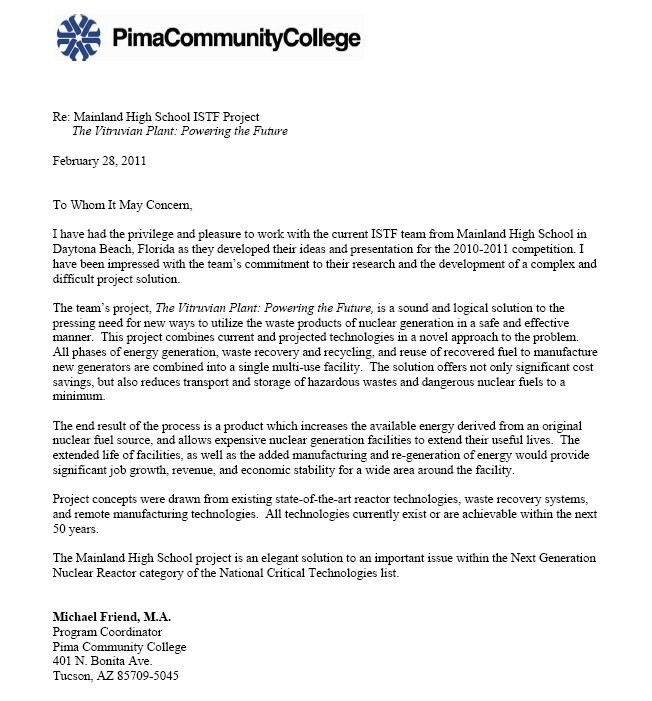 Babcock and Wilcox are currently developing a scalable, small nuclear reactor called the mPower. 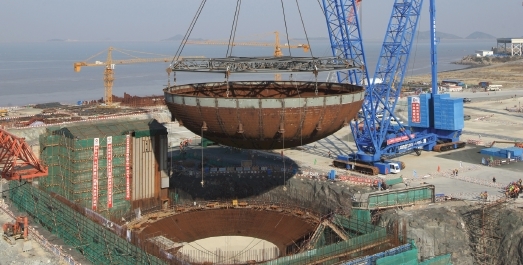 For more information see our background page on new generation reactors. Siemens, founded in 1847 by Werner Von Siemens, is an international company that started in Berlin that has transformed into a global firm over the next 163 years. Although Siemens international headquarters is still located in Berlin, it has offices located in over 190 countries. Siemens has roughly 405,000 employees who work at 1,640 locations around the globe, including 176 R&D facilities. Since 2008 Siemens has begun a strong focus on newer and cleaner energy methods, including nuclear reactors. Siemens has bought out Westinghouse which is the world's leading integrated supplier of nuclear fuel products and services, which has more than 5,000 employees in the United States, Sweden, and the United Kingdom, as well as joint-venture businesses in Japan and China. Westinghouse manufactures fuel-related products and components for nuclear power plants worldwide and is researching small, modulare reactor designs. Westinhouse's AP1000 is the "technology of choice for emerging new plants." Westinghouse and Siemens are directly related to our product since Westinghouse Electric Company provides fuel, services, technology, plant design, and equipment for the commercial nuclear electric power industry. Westinghouse has developed nuclear fuel rods for the AGR, BRR, CE, and PWR reactors and is in the process of creating fuel for NGR, or next generation reactors. Because of the importance of the Archimedes Filter Plant in our product we would like to include a third company, FAR-TECH, Inc. Image courtesy of FAR-TECH, Inc.
FAR-TECH, Inc. was founded in 1994 by Dr. J. S. Kim, is located in San Diego. They have received multiple Small Business Innovative Research grants from the US Department of Energy and Department of Defence. FAR-TECH specializes in modeling/simulation, data analysis, custom hardware/software design, and validation tests while their R&D department specializes in topics related to particle accelerators and plasma/fusion. Their research in the Archimedes Filter Technology is crucial to our product. They company has collaborated with numerous organizations: including, the Argonne National Laboratory, DIII-D National Fusion Facility, the Lawrence Livermore National Laboartory and the Lawrence Berkeley National Laboratory. Identify one professional association or trade organization associated with the products your team identified. IEEE consists of 38 societies that specialize in various areas of technology, with one being the Nuclear and Plasma Sciences Society (NPSS). 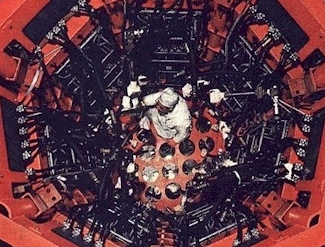 The Nuclear and Plasma Sciences Society was established in 1949, it has since evolved into a cluster of nine sub-committees that carry out the technical running of their organization. Many of these directly relate to the nuclear industry: Standards for Nuclear Instruments and Detectors, Radiation Instrumentation, and Computer Applications in Nuclear and Plasma Science. IEEE's Nuclear and Plasma Sciences Society serves as a medium for information distribution on topics relevant to its over 3000 engineers and scientists. Information updates are accomplished through scheduling a multiple conferences, journals, and a series of newsletters published throughout the year. On November 7-11, 2010, there will be a conference in Las Vegas, NV, addressing Nuclear Plant Instrumentation, Control, and Human Machine Interface Technologies. Applicable NPSS fields of interest related to our project include: nuclear instrumentation development for reactor systems; effects of radiation on materials, components, and systems; and applications of radiation and nuclear energy to other than utility power generation. Propose and describe a new product or new process based on your team's NCT technical application. Our product is a closed-loop designed to incorporate an Archimedes Filter Plant as a means of reprocessing spent nuclear fuel for use as usable fuel in a Next Generation Nuclear Reactor. Using remote handling methods, our product represents a "Nuclear Community" that reduces transportation of nuclear materials as well as increasing the saftey and security of all sections of the system. Via the Internet, locate a company that might be able to manufacture your team's proposed product. Send the company an e-mail asking that someone in the company evaluate the product your team proposed. If your team is not able to obtain a response to your inquiry, provide on your website an example of the e-mail request you sent and the names of manufacturers to whom you sent the request. During the month of February after discussing our product with our technical advisor, Mr. Michael Friend, we sent emails to two companies who manufactured components for our product. One company had built a prototype of an Archimedes Plasma Mass Filter and we asked their opinion on setting up a system of multiple facilities in series to successively separate radioisotopes of decreasing mass from a sample of spent nuclear fuel. The second company we wrote had obtained a patent for developing a traveling wave reactor. We asked them to describe the size and composition of the fuel pellets used in their reactor. Neither of these companies answered our requests. At the end of project, we received this letter from our techical adviser. The team was elated when they read his assessment of our work.